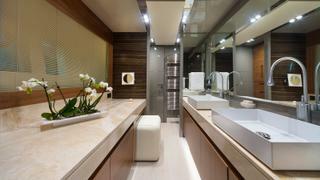 Every yacht is a reflection of her owner to a certain extent and that is doubly true for Maxima. 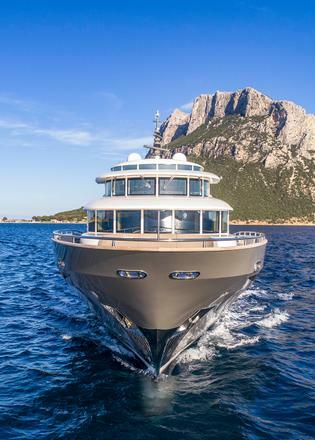 Built for an owner/operator trading up from a 20 metre motor yacht, she is nominally the second hull in the Filippetti Navetta 26 series, but that basic lineage doesn’t tell half the story. 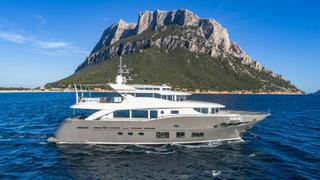 “It’s a 90% custom boat,” says the yard’s chief sales officer Giovanni Filippetti. 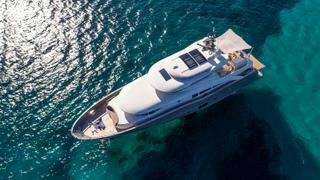 “The inspiration came from listening to an owner who uses his boat in a different way from what we traditionally have in mind.” The brief called for a compact explorer yacht that could be used all year round in the Baltic Sea. What’s more, the owner planned to spend up to four months at a time on board with no crew, leaving just him and his wife to take care of all the on board operations. 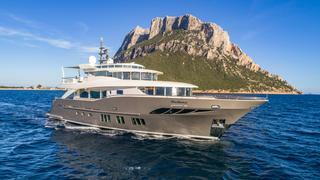 That Filippetti was able to take a 26 metre Navetta yacht designed for eight guests and warm climates and convert it into an intimate two-cabin cruiser for Northern climes is a testament to the yard’s flexibility. 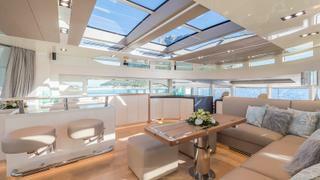 Where the main deck master suite would have sat, there is a four-person dining room with 180-degree views out to sea. 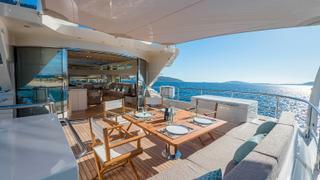 As a knock-on benefit, the main saloon is enlarged to make a sprawling space, with a C-shaped sofa and plenty of room to spread out and relax. Four separate control stations mean that shorthanded manoeuvring is as effortless as possible. 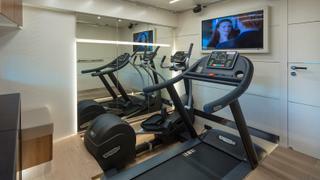 Below decks, instead of three cabins, there are two VIP suites and an on board superyacht gymnasium packed with Technogym equipment — a feature almost unheard of in this size bracket. 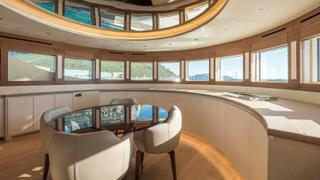 The windows were another key aspect of the yacht that was redesigned — not only are they larger, but they are now made from thermally insulated Isoclima glazing to avoid condensation when the Condaria diesel heating system is working at full power in temperatures as low as -5 Celsius. 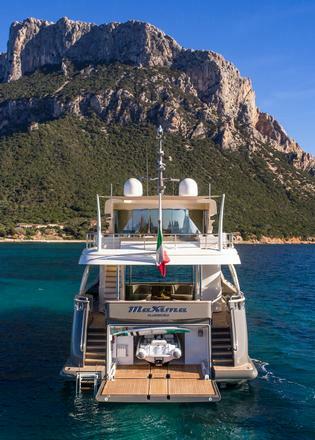 But braving the cold is only half of the story of life on board Maxima, as the owner was just as keen to open up and embrace the elements on warmer days. This required not only the technical challenge of a fully convertible skylounge — with three sunroofs and two opening wide windows — but also a seamlessly flowing indoor-outdoor design scheme. “As is the case for many people living in the Baltic area, every ray of sun is not a challenge to avoid, but something you seek out,” continues Lumini. “The owners wanted to emphasis this atmosphere, especially on the bridge deck, which is completely open, so the style had to match with the exterior as well. The colour combination and the material combinations stemmed from that specific request.” Hot Lab’s interior décor bears this out with five different types of leather and four different wood veneers from Tanganyika to oak, creating a light and relaxed atmosphere that is truly conducive to on-board living.